Michael Bublik M.D. is a fellowship-trained facial plastic surgeon and a member of the highly elite American Academy of Facial Plastic and Reconstructive Surgery, a selective group consisting of 2,700 qualifying surgeons throughout the world. Its members are board certified, focusing on surgery of the face, head and neck. He is also board-certified by the American Board of Otolaryngology, one of the oldest medical specialties in the United States. Otolaryngologists are physicians uniquely trained in the surgical and medical treatment of patients with disorders and diseases of the head and neck. Dr. Bublik graduated from UCLA where he majored in Physiology. He was one of a select few who graduated with Highest Honors and a Chancellors Award. While at UCLA, his dedication to the community was immense. He volunteered in homeless shelters and clinics and helped engineer the first mobile health clinic through the David Geffen School of Medicine at UCLA and UCLA School of Public Health. 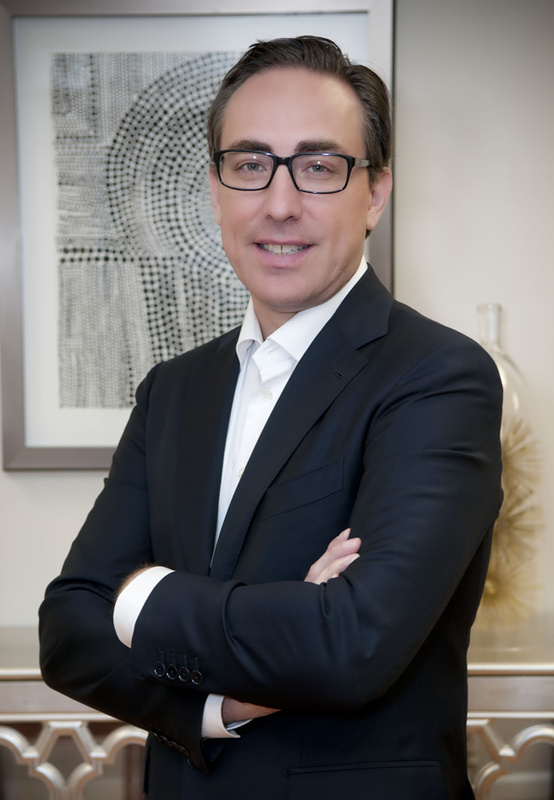 Dr. Bublik’s interest in Facial Plastic and Reconstructive Surgery began when he was an undergraduate at UCLA and continued throughout medical school at the Keck School of Medicine at USC in Los Angeles. While an undergraduate he spent hundreds of hours working with lasers and their application to treat diseases in the head and neck area. In fact, his research was so well recognized that during medical school he was the recipient of an NIH grant. His fascination with the head and neck area and facial aesthetics, with its intricate surgery and positive impact on patients solidified his decision to pursue further training in facial plastic and reconstructive surgery. 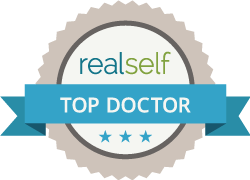 Throughout his medical career, Dr. Bublik has trained and worked with leaders in facial plastic surgery. He completed a residency in Otolaryngology/Head and Neck Surgery at the University of Miami School of Medicine and Jackson Memorial Hospital in Miami, Florida. At this authority of facial plastic surgery, he trained under world-renowned cosmetic dermatologist, opthalmologists, facial plastic surgeons, and plastic surgeons . While in Miami, he received many awards for clinical teaching, and he published numerous articles and textbook chapters on facial plastic surgery. Following residency, he was among an elite group selected for a fellowship in facial plastic and reconstructive surgery. Because of his continued success at the University of Miami, he was offered to stay on faculty as a clinical instructor to teach residents and medical students. At the University of Miami, he continued to train with pioneers in rhinoplasty and facial reconstruction and also received additional training in lasers, injectables, and skin care by prominent cosmetic dermatologists. As a fellow, he continued to be a prolific writer, writing additional book chapters and continuing important research in facial plastic surgery. Dr. Bublik’s track record in academic success demonstrates his unrelenting commitment to his work. He has published ground breaking research articles in peer-reviewed journals and has received many awards and honors throughout his medical and surgical training. Perhaps more importantly, he is committed to delivering compassionate care to every patient doing whatever it takes to ensure patient satisfaction, while adhering to highest level of integrity and ethics. First Prize, Resident Temporal Bone Competition. Annual Chandler Society Meeting, University of Miami Department of Otolaryngology. June 2010. First Prize, Resident Temporal Bone Competition. Annual Chandler Society Meeting, University of Miami Department of Otolaryngology. June 2008. First Prize, Resident Temporal Bone Competition. Annual Chandler Society Meeting, University of Miami Department of Otolaryngology. June 2007. First Prize, Resident Research Award, Annual Chandler Society Meeting, University of Miami Department of Otolaryngology. June 2007. Resident Travel Award, Triological Society: American Laryngological, Rhinological and Otological Society, Southern Section. January 2006. Howard P. House, M.D. and House Family Scholarship. Keck School of Medicine at USC. February 26, 2005. Nominated Alpha Omega Alpha (Top 20% of USC-Keck School of Medicine). First Prize and Deans Award, Undergraduate Research Symposium Presentation: “Albumin Inhibits Uptake and Laser Phototherapy of Hypericin Dye in Squamous Cell Carcinoma.” UCLA, 2000. Laser Induced Thermal Therapy (LITT) as a Minimally Invasive Treatment for Cancer. UCLA School of Medicine, Department of Surgery, Division of Head and Neck Surgery. Under Marcos B. Paiva, MD, PhD, and Romaine Saxton, PhD. Member, American Academy of Otolaryngic Allergy. 2009-Present. Member, American Academy of Facial Plastic and Reconstructive Surgery 2007-Present. Member, American Academy of Otolaryngology – Head and Neck Surgery 2005-Present. Member, Keck-USC School of Medicine Admissions Committee, 2003-2005. Member, American Medical Association, 2001-Present. Richard E. Davis, M.D. and Michael Bublik, M.D. Psychological Considerations in the Revision Rhinoplasty Patient. Facial Plast Surg. 2012 Aug 28. Richard E. Davis, M.D. and Michael Bublik, M.D. Common Technical Causes of the Failed Rhinoplasty. Facial Plast Surg. 2012 Aug 28. Civantos F, Medina M, Bublik M, Fisher P, Weiss E, Karakullukcu B, Jefferson G, Arnold D. Photodynamic Therapy of Head and Neck Cancer in the Subtropics (Submitted). Bublik M et al. Transcutaneous Injection Medialization for Unilateral Vocal Fold Paralysis: Long-Term Results (Submitted). Eloy J, Bublik M, Tse B, Ruiz J, Casiano R. Effect of Greater Palatine Injection, Polyps, And Other Preoperative Factors On EBL During Sinus Surgery. Otolaryngol Head Neck Surg (Submitted). Herman B, Bublik M, Ruiz J, Younis R. Endoscopic embolization with onyx prior to resection of JNA: A new approach. Int J Pediatr Otorhinolaryngol. 2010 Nov 2. Herman B, Bublik M, Younis R. Endoscopic embolization and resection of juvenilenasopharyngeal angiofibromas. Operative Techniques in Otolaryngology-Head and Neck Surgery. Volume 20, Issue 3, September 2009, Pages 183-186. Bublik M, Herman B, Younis R. Functional endoscopic sinus surgery. Operative Techniques in Otolaryngology-Head and Neck Surgery. Volume 20, Issue 3, September 2009, Pages 167-171. Folbe A, Herzallah I, Duvvuri U, Bublik M, Sargi Z, Snyderman CH, Carrau R, Casiano R, Kassam AB, Morcos JJ. Endoscopic Endonasal Resection of Esthesioneuroblastoma: A Multi-center Study. Am J Rhinol Allergy. 2009 Jan-Feb;23(1):91-4. Kanekal S, Joo J, Bublik M, Bababeygy A, Loh C, Castro DJ, Sercarz JA, Paiva, MB. Retention of intratumor injections of cisplatinum in murine tumors and the impact on laser thermal therapy for cancer treatment. Eur Arch Otorhinolaryngol. 2008 Jul 8. Bublik M, Sargi Z, Casiano RR. Use of the microdebrider in selective excision of heriditary hemorrhagic telangiectasia: A new approach. Otolaryngol Head Neck Surg. 2007 Jul;137(1):157-8. Eshraghi AA, Wang J, Adil E, He J, Zine A, Bublik M, Bonny C, Puel JL, Balkany TJ, Van De Water TR. Blocking c-Jun-N-terminal kinase signaling can prevent hearing loss induced by both electrode insertion trauma and neomycin ototoxicity. Hear Res. 2006 Nov.
Adrien A. Eshraghi, Michael Bublik, Thomas R. Van De Water. Mechanisms of chemotherapeutic-induced hearing loss and otoprotection. Drug Discovery Today: Disease Mechanisms. 2006 Volume 3. No. 1. Bublik M, Sercarz JA, Lufkin RB, Polyakov M, Paiva PB, Blackwell KE, Castro DJ, Masterman-Smith M, Paiva MB. Ultrasound-Guided Laser-Induced Thermal Therapy of Malignant Cervical Adenopathy. Laryngoscope 2006 Aug;116(8):1507-1511. Bublik M, Head C, Benharash P, Paiva M, Eshraghi A, Kim T, Saxton R. Hypericin and pulsed laser therapy of squamous cell cancer in vitro. Photomed Laser Surg. 2006 Jun;24(3):341-7. Paiva MB, Bublik M, Castro DJ, Udewitz M, Wang MB, Kowalski LP, Sercarz J. Intratumor injections of cisplatin and laser thermal therapy for palliative treatment of recurrent cancer. Photomed Laser Surg. 2005 Dec;23(6):531-5. Paiva MB, Bublik M, Paiva AAP, Masterman-Smith M, Sarna LP, Sercarz JA. Harber P, Bublik M, Steimberg C, Wallace J, Merz B. Occupational issues in episodic care populations. Am J Ind Med. 2003 Feb; 43(2):221-6. Paiva MB, Blackwell KE, Saxton RE, Bublik M, Liu CD, Paolini AA, Calcaterra TC, Castro DJ. Nd:YAG Laser Therapy for Palliation of Recurrent Squamous Cell Carcinomas in the Oral Cavity. Lasers Surg Med. 2002;31(1):64-9. Lisa Grunebaum MD, Leslie Baumann MD, Jennifer Murdock BS, Michael Bublik MD, Joely Kaufman MD. 2790nm Cutaneous Laser Resurfacing For Chest Photodamage. American Society for Laser Medicine and Surgery 30th Annual Conference, April 16-18, 2010, Phoenix, Arizona. Michael Bublik MD, Penelope Fisher RN, Francisco Civantos MD. Photodynamic Therapy of Cancer in the Tropics. AAO-HNS 2008 Annual Meeting October 4-7 2009, San Diego, CA. Michael Bublik MD, Bjorn Herman MD, Jose Ruiz MD, Ramzi Younis MD. Endoscopic Embolization of JNA: A Novel Approach. AAO-HNS 2008 Annual Meeting October 4-7 2009, San Diego, CA. Michael Bublik MD, Jean A. Eloy MD, Brian Chuck Tse, Jose W. Ruiz, III, MD, Roy R Casiano, MD. Effect of Pterygopalatine Injection on EBL in Sinus Surgery. AAO-HNS 2008 Annual Meeting September 19-24, 2008, Chicago, IL. Donna Lundy PhD, Roy R Casiano MD, Mario Alberto Landera M.A., Michael Bublik MD. Unilateral Vocal Fold Paralysis: Medialization Results. AAO-HNS 2008 Annual Meeting September 19-24, 2008, Chicago, IL. Michael Bublik MD, Joel A Sercarz MD, Allan Pantuck MD, Marcos B Paiva MD PhD. Comprehensive study on laser thermal therapy for cancer. AAO-HNS 2007 Annual Meeting, September 15-19, 2007, Washington, DC. Bublik M, Herzallah, I, Sargi ZB, Casiano RR Bilateral Vocal Cord Immobility: Treatment Outcomes. AAO-HNS 2007 Annual Meeting, September 15-19, 2007, Washington, DC. Bublik M, Sargi ZB, Casiano RR. Outpatient Excision of HHT with the Microdebrider. AAO-HNS 2006 Annual Meeting, September 17-20, 2006, Toronto, Canada. Zoukaa Sargi, MD, Michael Bublik, MD, Islam Herzallah, MD, Roy Casiano. Endoscopic Resection of Nasal Adenoid Cystic Carcinoma With Skull Base Involvement. American Rhinological Society, 52nd Annual Meeting, September 16, 2006, Toronto, Canada. Bublik M, Paiva MB, Masterman-Smith M, Eshraghi AA, Castro DJ, and Sercarz JA. Ultrasound Guided (UTZ) Laser Interstitial Thermal Ablation of Head and Neck Cancer. Triological Society, Southern Section. Naples, Florida. January 12-14, 2006. Paiva MB, Bublik M, Masterman-Smith M, Polykov M, Sercarz JA. Combined Laser and Cisplatin Therapy for Recurrent Head and Neck Cancer. AAO-HNS 2005 Annual Meeting, September 2005, Los Angeles, CA. Paiva MB, Bublik M, Kowalski LP, Sercarz J. Local Chemotherapy and Laser for Palliation of Recurrent Cancer. AAO-HNS 2005 Annual Meeting, September 2005, Los Angeles, CA. Paiva MB, Watson J, Blackwell KE, Bublik M, Head CS, Wang MB. Failure of Laser Therapy after Free Flap Reconstruction. AAO-HNS 2005 Annual Meeting, September 2005, Los Angeles, CA. Bublik M, Paiva MB, Head CS, Eshraghi AA, Sercarz JA, Saxton RE. Photodynamic Therapy of Cancer with Hypericin Using Pulsed Dye Lasers: A Preclinical Study. AAO-HNS 2005 Annual Meeting, September 2005, Los Angeles, CA. Peyman Benharash, Michael Bublik, Tiffany Day, Janice Lee, and Romaine Saxton. Photodynamic Therapy With Hypericin Using Pulsed Dye Lasers. American Society for Laser Medicine & Surgery, April, 2003, Anaheim, Ca. Paiva MB, Bublik M, Saxton RE, Paiva AP, Castro DJ, Sarna LP. Assessing quality of life research outcomes in head and neck cancer patients at UCLA. AACR Special Conference Frontiers in Cancer Prevention Research: Genetics, Risk Modeling, Molecular Targets for Chemoprevention, Behavioral Prevention Research, Clinical Prevention Trials, Science and Public Policy, October 17, 2002, Boston, MA. Marcos B Paiva MD PhD, Michael Bublik BS, Romaine E Saxton PhD , Robert B Lufkin MD , Thomas C Calcaterra MD , Dan J Castro MD PhD. Ten Years of Laser-induced Thermal Therapy for SCCHN. AAO-HNS 2002 Annual Meeting, September 22-25, San Diego, CA. Paiva MB, Saxton RE, Elashoff RM, Bublik M, Lufkin RB, Calcaterra TC, and Castro DJ. Palliative laser induced thermal-therapy for recurrent head and neck cancer in a phase-II clinical study. 2002 Clinical Research Annual Meeting 2002 (J Investigative Medicine, 50:176, 2002). Paiva MB, Saxton RE, Elashoff RM, Bublik M, Kabbinavar FF, Lufkin RB, Calcaterra TC, Holmes EC, and Castro DJ. Palliative Laser Induced Thermal-Therapy for Recurrent Head and Neck Cancer: a Phase II Clinical Study. American Society of Clinical Oncology, 2001 Annual Meeting. Bublik M, Paiva MB, Wang MB, Liu CD, Castro DJ, Saxton RE. Albumin Inhibits Uptake and Laser Phototherapy of Hypericin Dye in Squamous Cell Carcinoma. 92nd Annual meeting of the American Association of Cancer Researchers. March 24-28, 2001. Paiva MB, Chung PS, Jongewaard NN, Bublik M, Abemayor E, Saxton RE. Laser Thermal Therapy with Cisplatin for Squamous Cell Carcinoma. 92nd Annual meeting of the American Association of Cancer Researchers. March 24-28, 2001. Cofounder and Treasurer of the UCLA/GWHFC Mobile Clinic Project (in conjunction with UCLA School of Medicine) which provides free medical care to the underserved population of the West Hollywood area. Community Outreach and Prevention and Education (C.O.P.E). Provided health education and mentoring to the at-risk child/adult population of the greater Los Angeles area. 1998-2000. McCarthy Family Foundation Grant for the UCLA/GWHFC Mobile Clinic, $ 10,000 (January 2002-January 2003). Community Activities Committee Grant for the UCLA/GWHFC Mobile Clinic sponsored by the UCLA Center for Student Programming, $7,500(September 2001-June 2002). UCLA Center for Student Programming Summer Grant for the UCLA/GWHFC Mobile Clinic, $ 2,500 (June 2001-September 2001). Community Activities Committee Grant for the UCLA/GWHFC Mobile Clinic sponsored by the UCLA Center for Student Programming, $7,500(September 2000-June 2001). American Academy of Otolaryngic Allergy Advanced Course in Allergy and Immunology. Austin, Texas, December 2011. AO Challenges and Advances in the Management of Craniomaxillofacial Trauma and Reconstruction - Focus: Orbital Fundamentals (Level II). Chicago, Illinois. February 26-27, 2011. AO Challenges and Advances in the Management of Craniomaxillofacial Trauma and Reconstruction - Focus: Ballistic Injuries. New Orleans, Louisiana. January 7-9, 2011. American Academy of Otolaryngic Allergy Basic Course in Allergy and Immunology. Dallas, Texas February 4th – 6th, 2010. University of Miami Annual Rhinoplasty/Sinus/Temporal Bone Course and Dissection. West Palm Beach, FL. August 2009. AO Principles of Operative Treatment of Craniomaxillofacial Trauma and Reconstruction. Philadelphia, Pennsylvania. October 18-19, 2008. University of Miami Annual Rhinoplasty/Sinus/Temporal Bone Course and Dissection. West Palm Beach, FL. August 2008. University of Miami Annual Soft Tissue Course and Dissection. West Palm Beach, FL. March 2008. University of Miami Annual Soft Tissue Course and Dissection. West Palm Beach, FL. March 2007. University of Miami Annual Rhinoplasty/Sinus/Temporal Bone Course and Dissection. West Palm Beach, FL. August 2007. University of Miami Annual Rhinoplasty/Sinus/Temporal Bone Course and Dissection. West Palm Beach, FL. August 2006. Grand Rounds, Lasers for Facial Rejuvenation, Department of Otolaryngology – Head and Neck Surgery Grand Rounds, University of Miami, May 2010. Grand Rounds, Wound Healing Innovations, Department of Otolaryngology – Head and Neck Surgery Grand Rounds, University of Miami, June 2009. Grand Rounds, Photodynamic Therapy, Department of Otolaryngology – Head and Neck Surgery Grand Rounds, University of Miami, April 2009. Grand Rounds, Superior Semicircular Canal Dehiscence Diagnosis and Treatment, Department of Otolaryngology – Head and Neck Surgery Grand Rounds, University of Miami, November 2009. Grand Rounds, Bilateral Vocal Cord Paralysis Diagnosis and Treatment, Department of Otolaryngology – Head and Neck Surgery Grand Rounds, University of Miami, November 2008. Grand Rounds, Rhinoplasty, Department of Otolaryngology – Head and Neck Surgery Grand Rounds, University of Miami, July 2008. Grand Rounds, Hair Transplantation, Department of Otolaryngology – Head and Neck Surgery Grand Rounds, University of Miami, May 2008. Grand Rounds, Mandible Fracture Diagnosis and Treatment, Department of Otolaryngology – Head and Neck Surgery Grand Rounds, University of Miami, April 2006. Grand Rounds, Unilateral Vocal Cord Paralysis Diagnosis and Treatment, Department of Otolaryngology – Head and Neck Surgery Grand Rounds, University of Miami, November 2005. Grand Rounds, Hereditary Hemorrhagic Telangiectasia, Department of Otolaryngology – Head and Neck Surgery Grand Rounds, University of Miami, July 2005. Grand Rounds, Photodynamic Therapy of Cancer of the Head and Neck/Laser Treatment of Cancer, University of California, Irvine Department of Otolaryngology Teaching Conference. July 29, 2004.